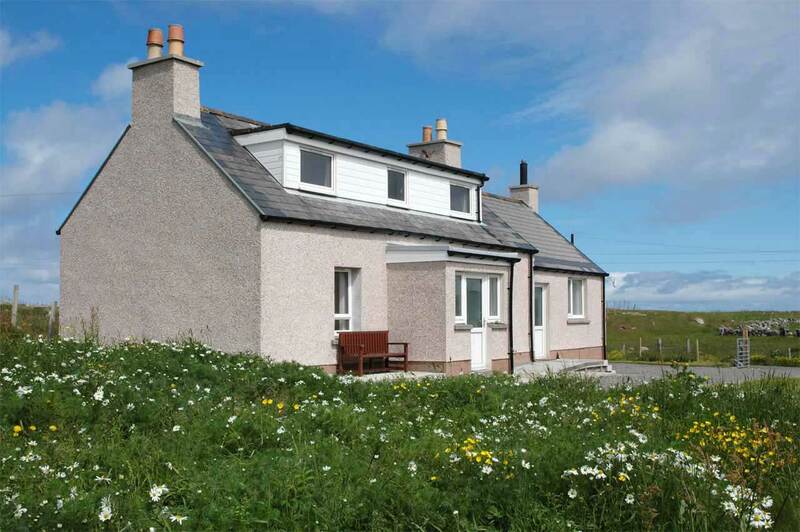 Dollag's Cottage is a newly refurbished self catering cottage set on a croft in the village of Shawbost on the Isle of Lewis in the Outer Hebrides. The cottage can sleep 6 with one double room and two upstairs twin rooms and is ideal for the perfect family holiday. The cottage has a shower room adapted for use by persons wth limited mobility and a downstairs bedroom and has wireless internet access and oil fired central heating throughout. 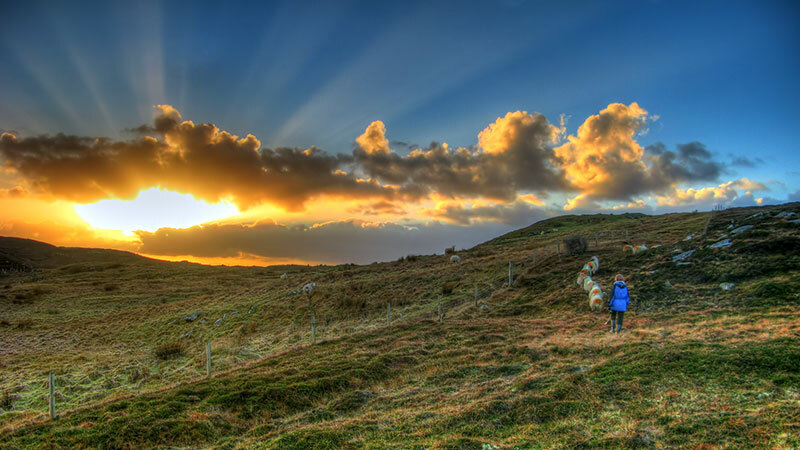 Shawbost, or Siabost in Gaelic, is a small village located on the West Side of the Isle of Lewis and it is ideal for exploring both the local area and attractions further afield. Callanish standing stones are about 20 minutes drive from the cottage, a sandy beach is minutes walk from the front door and the locations where the BBC's Katie Morag childrens series was shot are all within a few miles of Dollag's Cottage. 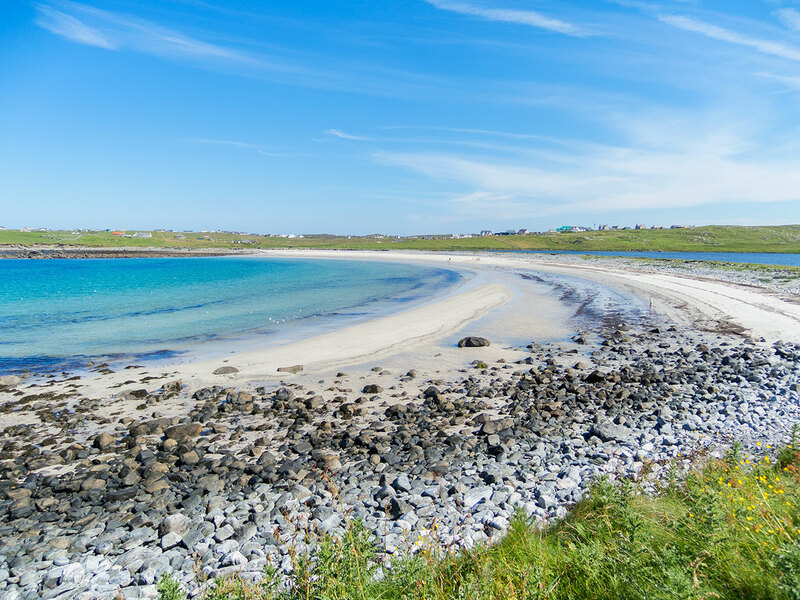 Dollag's Cottage makes the ideal base for a holiday on the island and visitors can choose to tour the island by car or stay by their own front door and enjoy beaches, coastal walks and an array of interesting wildlife and birdlife. 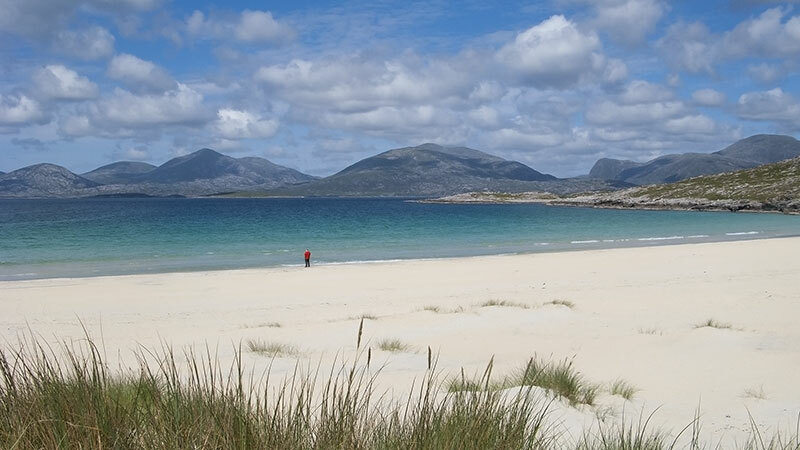 Take a look around the site and plan your escape to the Hebrides. 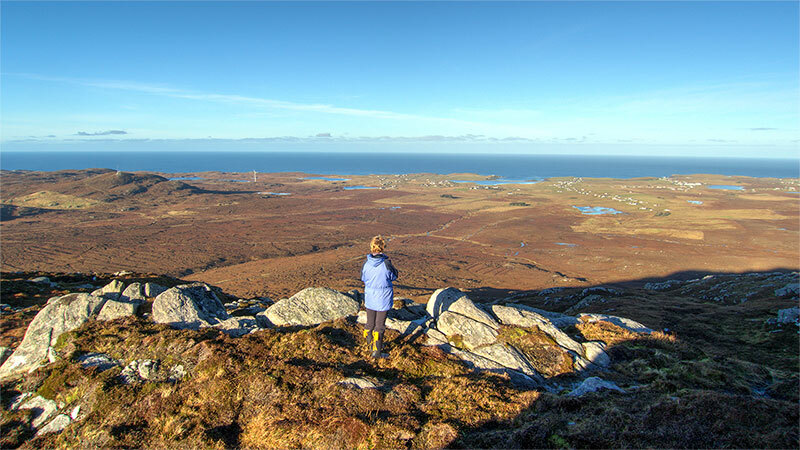 Below: Shawbost beach, overlooking the village while hillwalking on an November day, Losgaintir beach, and working the sheep on the croft over New Year.